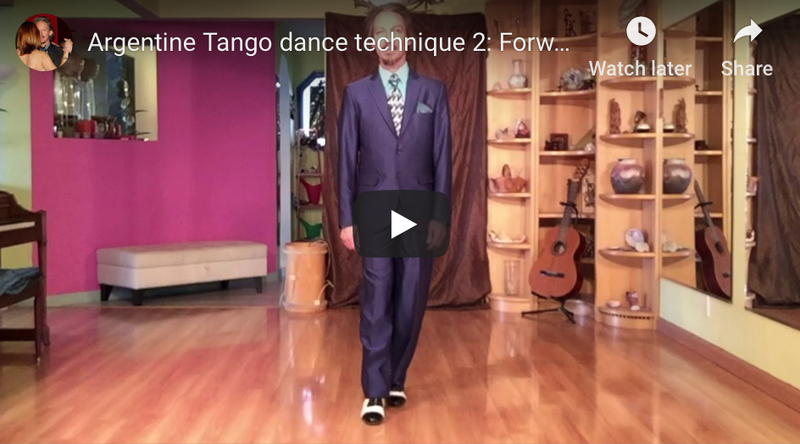 In the case of dancing Tango, we are required to develop a way of walking. As with our posture, our human walk is also unique. As with our posture, our human walk is also unique. In the case of dancing Tango, we are required to develop a way of walking which, remaining natural, serves the purpose of walking in the intimate company of our partner, embraced by each other, among other couples, creating a silent poetic dialogue with our bodies and in connection with the cadence of Argentine Tango music. This kind of music was devised to serve such a purpose, and always guides us on how to move in such situations. After shifting your weight to one foot, move the leg that is free of weight forward and backward like a pendulum, maintaining light contact with the floor, using the “inside edge position” when passing through the “collect position” when both feet are together.